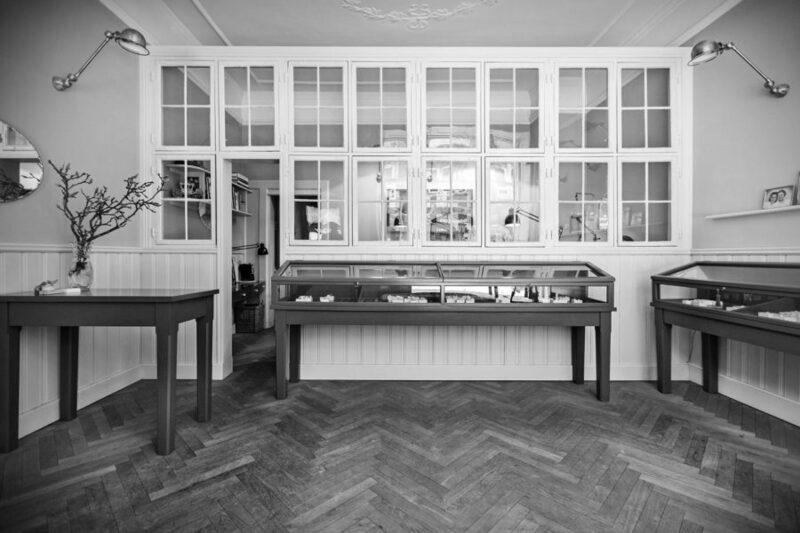 No.10 Edith Hegedüs is a place of encounters, where the jewellery tell stories of magical travels, theatrical discoveries and historic recollections. 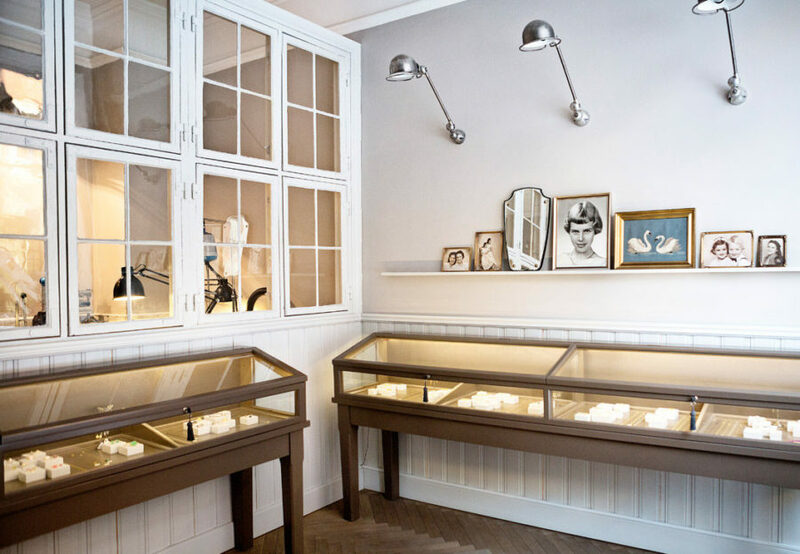 An immediate air of tranquillity greets you when entering the high-ceilinged jewellery gallery No.10 Edith Hegedüs on the exclusive Christian IX’s street in Copenhagen near Rosenborg Castle, home of the crown jewels. The gallery’s jewellery are presented in large antique glass displays originating from the Royal Danish Arsenal Museum. The workshop in the back is separated by a glass wall. Humming sounds and the subtle presence of the workshop add on to the special industrious atmosphere. 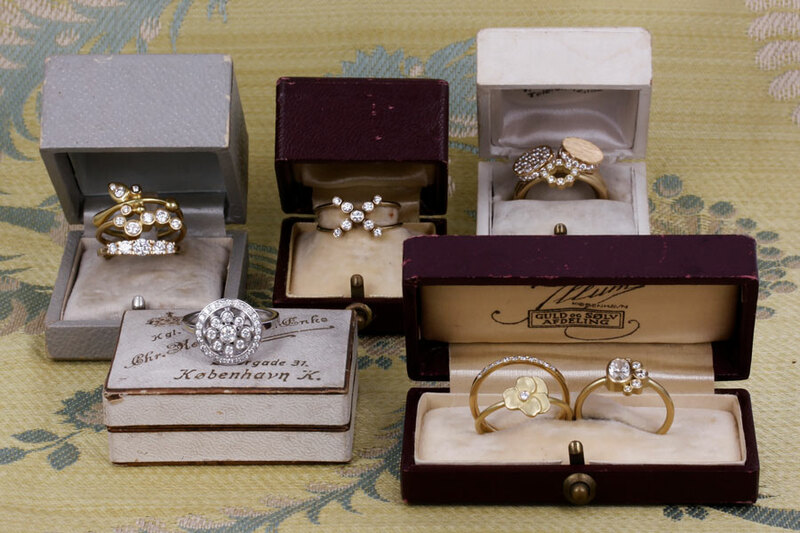 In No.10 Edith Hegedüs you will find exclusive jewellery in gold and diamonds meeting demands of both the customer wanting bespoke items or the customer looking for wearable everyday luxury. No.10 Edith Hegedüs exhibits seven other jewellery designers. 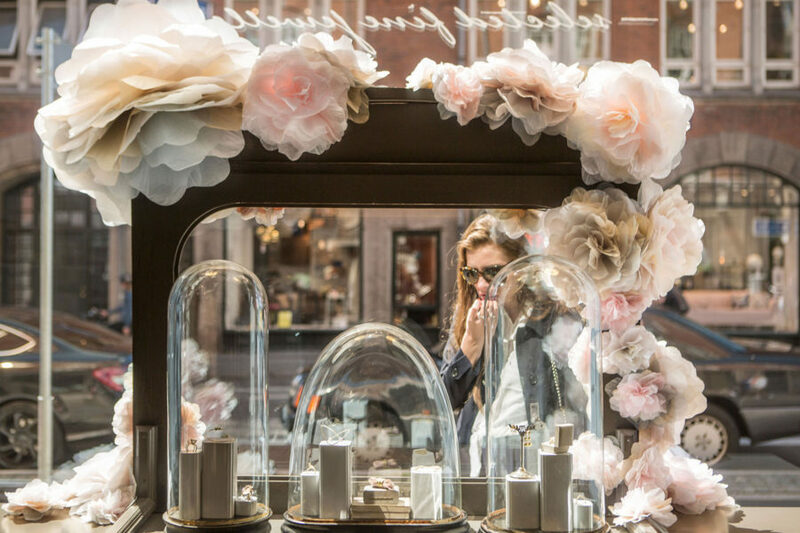 All jewellery is made by hand, exclusive, unique and personal, like the cinematic, edgy and eclectic atmosphere of the gallery; an atmosphere of ‘romantic film noir’. No.10 Edith Hegedüs is a place of encounters, where the selection tells stories of magical travels, theatrical discoveries and historic recollections. The window is No.10 Edith Hegedüs’ ever changing gallery of visiting artists and designers. For past and future exhibitions have a look in Journal & Events. 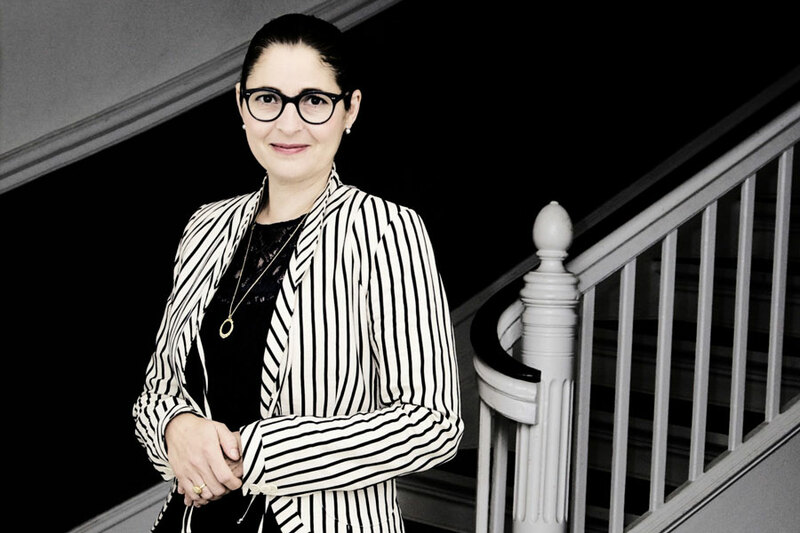 Besides displaying her own jewellery Edith Hegedüs represents seven other Danish jewellery designers in the gallery. Edith carefully curates the collections, and ever so often she allows visiting goldsmiths from around the world to showcase in her shop – making No.10 Edith Hegedüs a combined gallery, boutique, studio and workshop.